We are happy and proud to present TMJAF workshops and concert 2017 in Manila! 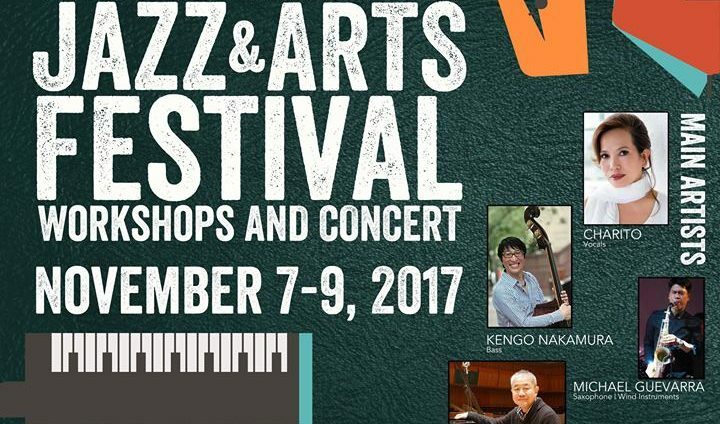 Multi-awarded Filipino and Japan-based jazz singer Charito together with renowned Japanese jazz musicians are coming to Manila this November 7-9, 2017 for the Tokyo-Manila Jazz and Arts Festival (TMJAF) workshops and concert! Registration for the workshop is highly recommended and is subject for approval by University of the Philippines College of Music and University of Sto. Tomas Conservatory of Music. Registration is highly recommended. Walk-ins welcome at a first-come, first-served basis. 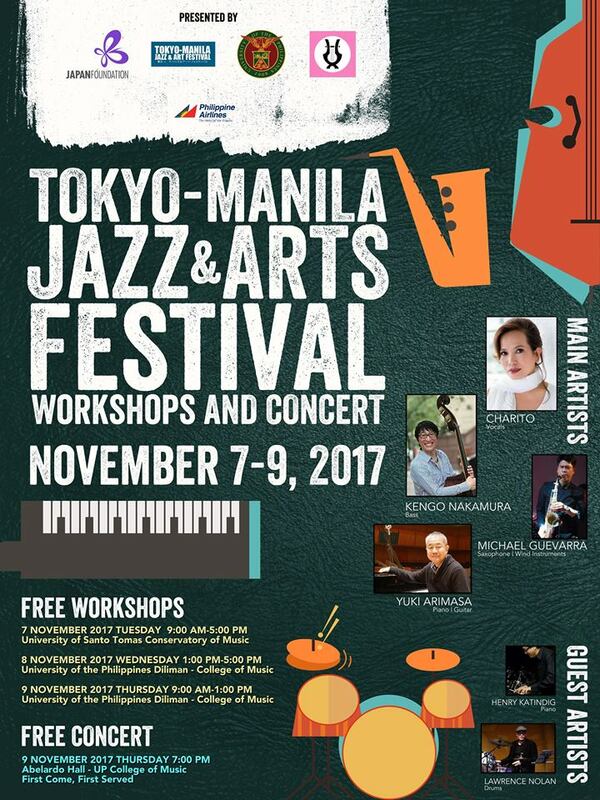 TMJAF workshops and concert is presented by The Japan Foundation, Manila and Tokyo-Manila Jazz and Arts Festival in collaboration with University of Sto. Tomas Conservatory of Music and University of the Philippines College of Music. We would also like to thank Philippines Airlines for sponsoring this event.